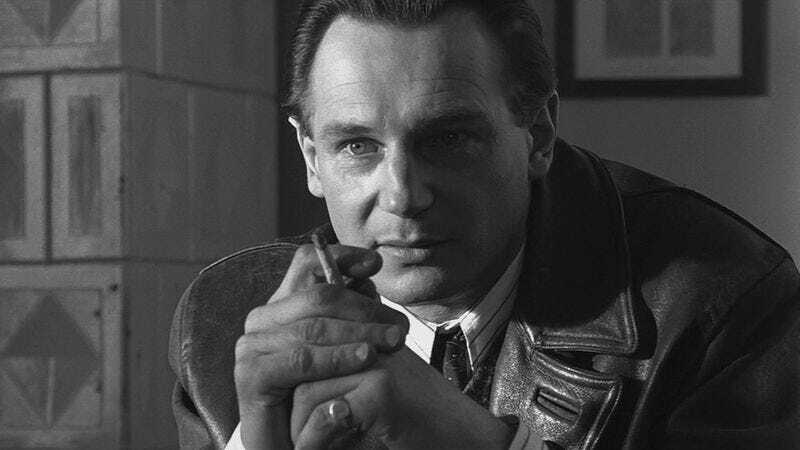 A mere 21 years after starring in Schindler’s List, the hugely successful historical drama about a German businessman who secretly saves over a thousand Jewish refugees from dying in Nazi concentration camps, Liam Neeson has signed on to Ted 2, a movie about Mark Wahlberg getting drunk with a talking teddy bear. Ted 2 mastermind Seth MacFarlane revealed the news himself on Twitter, and Entertainment Weekly then used its mysterious “sources” to confirm the report. Neeson previously worked with MacFarlane on A Million Ways To Die In the West, so either he liked working with him enough to do it again, or he saw Ted 2 as another chance to recapture some of that Oskar Schindler-style prestige. After all, Morgan Freeman has a “juicy” role in the movie, and we already started hyping up how Oscar-worthy his performance will be in that last Newswire, so we might as well assume that Neeson’s role will be just as “juicy.” We don’t want to get ahead of ourselves—or Ted 2—but if Neeson and Freeman can bring the kinds of powerful performances that made them famous, then this talking teddy bear movie could be a new generation’s Schindler’s List.